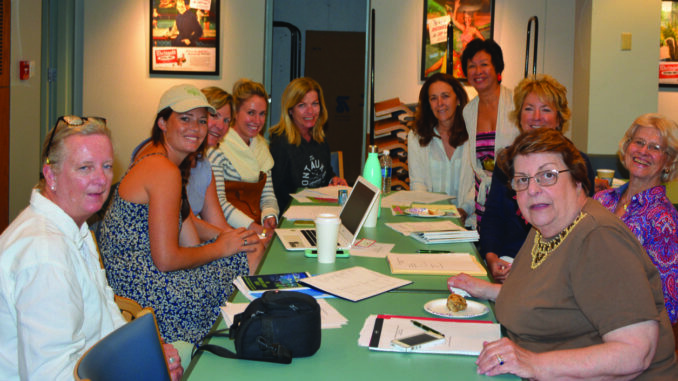 On June 24, 2017, members of the Board of the Montauk Village Association (MVA) held its 56th annual meeting at the Montauk Library. It was a bitter-sweet moment since it would be the last time that outgoing president Nancy Keeshan would preside after eight years of dedicated service. During her reign she tripled the amount of donations for the MVA. Some of Ms. Keeshan’s many accomplishments are the Memorial Garden on the Green and the current new hanging planters. 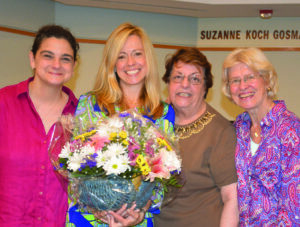 To show their appreciation, the board presented Ms. Keeshan a bouquet of flowers. The MVA is responsible for beautifying Montauk by taking care of the teak benches, memorial trees, shrubs and planters in the main business area and keeping alll public areas clean and green. 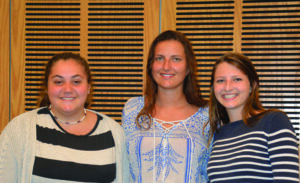 The MVA also gives scholarship awards to the local senior students for their best ideas on how to improve Montauk. 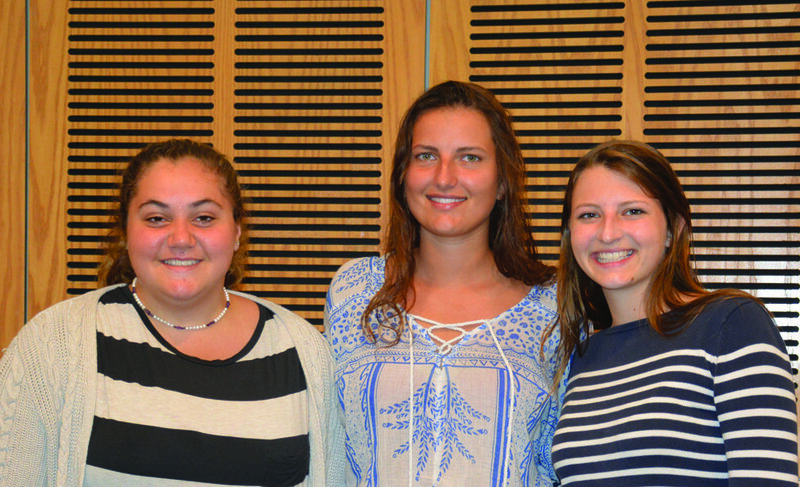 The 2017 winners are: First Place ($3,000): Zoe Daunt, Second Place ($1,000): Cybele Adamcewicz and Eighth Grade Social Studies ($100): Lucia Ibrahim. A Board of Directors meeting followed where officers and directors were elected for 2017-2018. They are: President Theresa Eurell, 1st Vice President Gail Webb, 2nd Vice President Julia Stavola, Treasurer Marge Harvey, Recording Secretary Gina Demasco, Social Media Director Lindsay Stavola, Jane Bimson, Helene Fugazzi, Christine Coughlin, Leyla Marchetto, Gabrielle Long, Barbara Jean Neff, Patria Pacis, Jeanne Corin, Amber Roberts and Kathy Weiss. The board thanked outgoing directors Eva Ioos and Cecilia (Nibs) Mullen for their years of service. This year’s Greenery Scenery Benefit Cocktail Party, which Ms. Keeshan is responsible for bringing back and for making it the “Party of the Year to attend,” will be held at the beautiful Montauk Lake Club on Friday, August 18th from 6pm to 9pm. The Honorees are three wonderful Montauk ladies: Alice Houseknecht, Frances Ecker and Edna Steck. Please come to congratulate them in person. 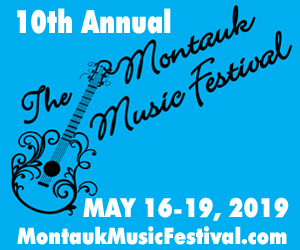 If you would like to become a member or give a donation, kindly send a check to the Montauk Village Association, P.O. Box 457, Montauk, NY 11954. 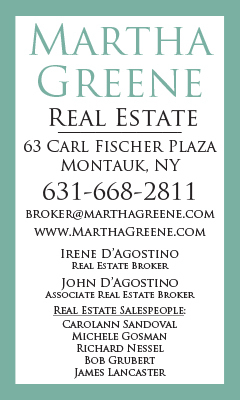 For more info contact Marge Harvey at 631-433-1382.